Enjoy freakin' great bao at this charming China Town eatery. You probably don't visit the China on Roe courtyard as frequently as you did during its heights in 2005, but we're here to tell you Old Lane is still pumping out really freaking good bao. Specialising in street-style South-East Asian eats, this Northbridge hotspot doesn't miss a beat — it's cheap, BYO and predominately gluten free. Slightly peckish or completely famished, Old Lane has you covered. The Marmite chicken bao and banana leaf nasi lemak are our faves, but there are plenty of Malaysian treats that'll hit the spot, and usually for under a tenner. Drinks wise, if you don't take your own booze or are simply seeking a non-alcoholic refreshment, we suggest the Grandma Seasonal Street Brew which goes perfectly with all that bao. 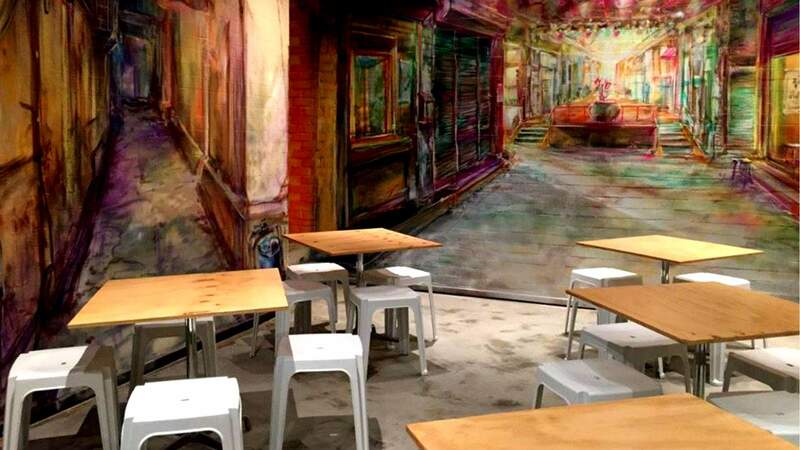 The venue's colourful mural perfectly epitomises Old Lane's cheap and cheerful attitude, head here for some bao with bae or a low-key hang with friends. You won't be disappointed, and neither will your wallet.